Muungano Reflection Circle. This offered an opportunity to every participation to speak on their personal Journey with the Federation and what the expectations are with regards to developing a strategic plan. 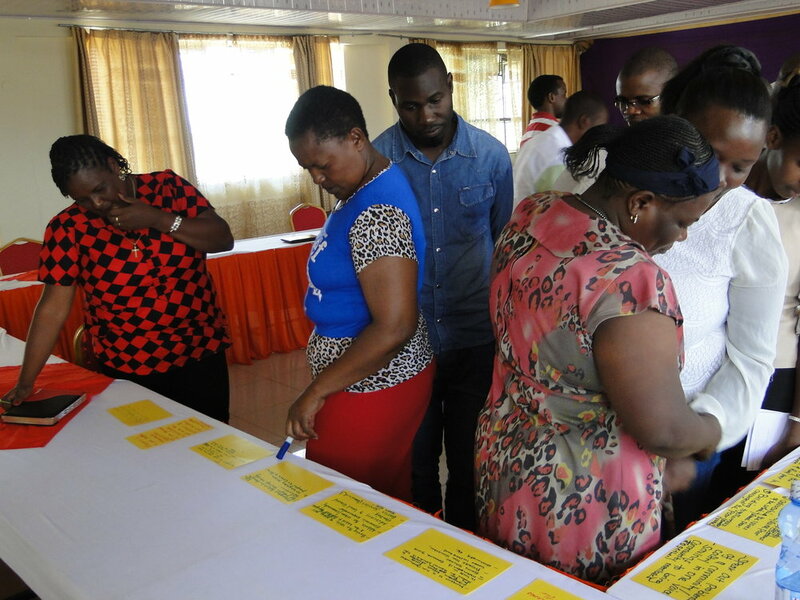 Muungano began a pioneering Strategic Planning processing late November, with leaders from across Kenya sharing their personal histories with the federation and developing a shared vision for the future. At a 3-day workshop in Nakuru, participants discussed how to continue strengthening Muungano and how to achieve improved shelter, services, and visibility for the urban poor.This is the first time that Muungano has spearheaded its own 5-year Strategic Plan, and the process will expand next year with broader participation from members nationwide. Rashid Mutua, Muungano was Wanavijiji National Chairman said, “We seek this forum to enable the federation draft a strategic plan to support fellow slum dwellers re work their vision and mission in the urban development sphere and we look forward to having healthy reflections and inclusive participation process”. Participants take a gallery walk of some of the priority objectives that participants have proposed for the federation to consider in its strategic plan. Facilitated by staff from Uganda’s SDI affiliate Actogether, the workshop provided the opportunity to learn from Ugandan experiences as well as to reflect upon Muungano’s diverse paths. Both new and old leaders shared their journeys with Muungano, which helped reveal the federation’s multiple changes over time. 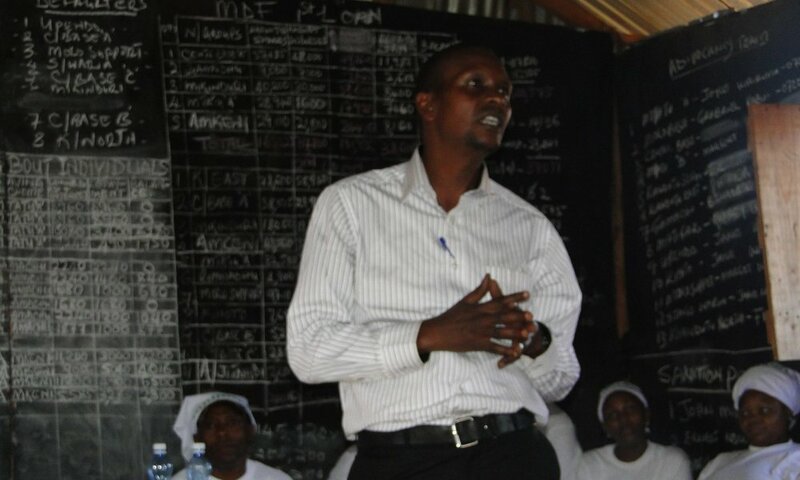 Leaders differed widely in their initial experiences with Muungano: some emphasized land and housing, others sought to improve services or markets, and still others focused on advocacy. Shifting from anti-eviction campaigns in the 1990s to a broader, long-term vision, Muungano itself has constantly evolved and emerged as a confident movement that is eager to tackle ever greater challenges. Jack Makau of Slum Dwellers International, who also doubled up as a process facilitator expressed a positive course for the federation, “This has been a dream for the federation, this strategic plan making process offers a platform for the federation to discuss it’s intended plans and indeed it is a blessing that we are sited together to have a voice of reason. Settlements have dynamics; donors may have varied opinions of informal settlements based on their augmented priorities. But in my own opinion, settlements are amazing, especially in their manifestations. The urban poor are housing half cities populations. The urban dwellers are the problems and also the solution. This opportunity has presented itself to the federation to be the solution seekers”. During the workshop, leaders engaged in vigorous debates over Muungano’s future and began developing a range of innovative strategies. Participants discussed key policy priorities, how to mentor new Muungano leaders, and the need for engaging with county governments (including leveraging funds via ongoing devolution reforms). Additionally, the leaders helped draft new vision and mission statements for Muungano, reflecting thoughtfully on core values and affirming their commitment to inclusive urban development. During future sessions, Muungano members will refine these statements and craft specific milestones, work-plans, and strategies for the next 5 years. More than just a priority-setting exercise, the session also helped reinvigorate the federation’s spirit and uncovered vital new ideas. Participants often gained useful lessons from Uganda, such as the importance of creating innovative organizational structures and documenting community processes.The planning process itself was also deeply affirming and inspiring for all who participated. "The process was so captivating, so inclusive, I value it as precious thing that we will be able to safeguard and protect for the rest of our lives,” said Erickson Sunday of Kisumu. With its path-breaking Strategic Plan, Muungano will create additional opportunities for shared reflection and growth as this dynamic movement continually redefines its future.